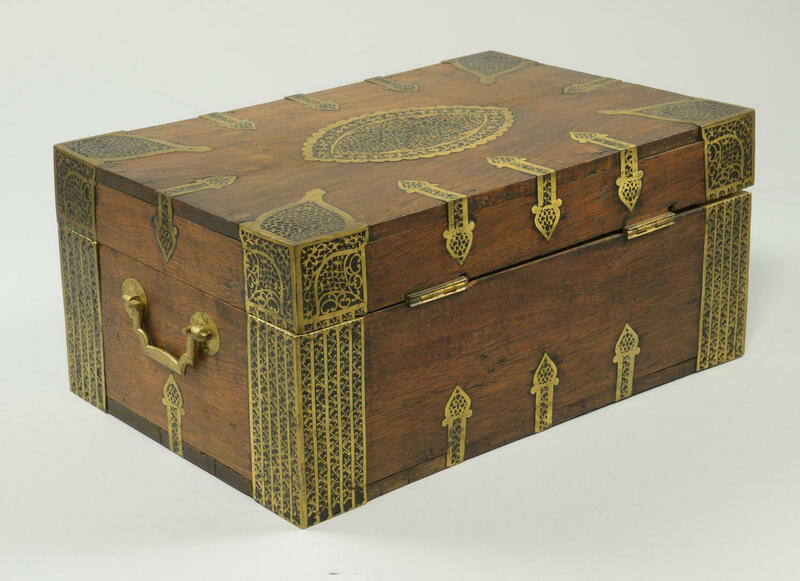 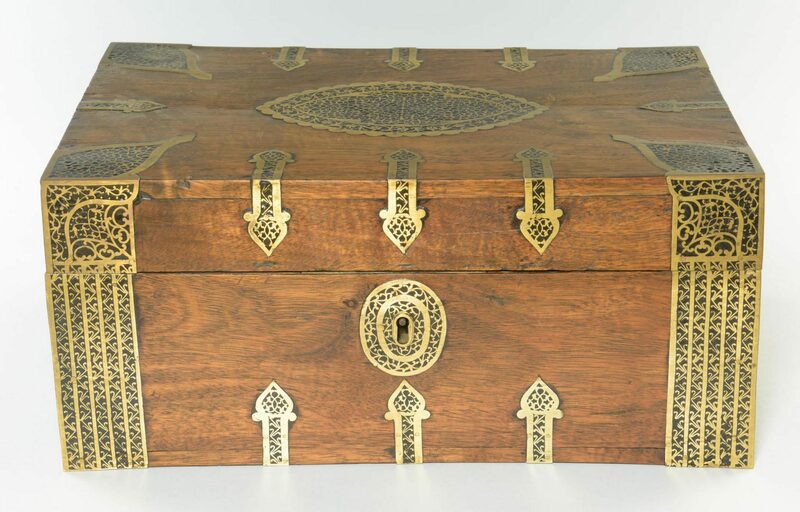 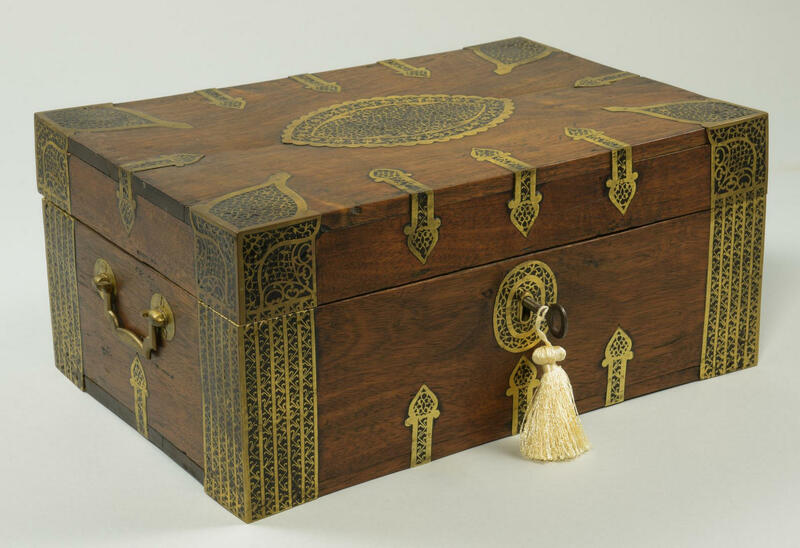 Chinese or Southeast Asian traveling writing box or lap desk with decorative brass inlay. 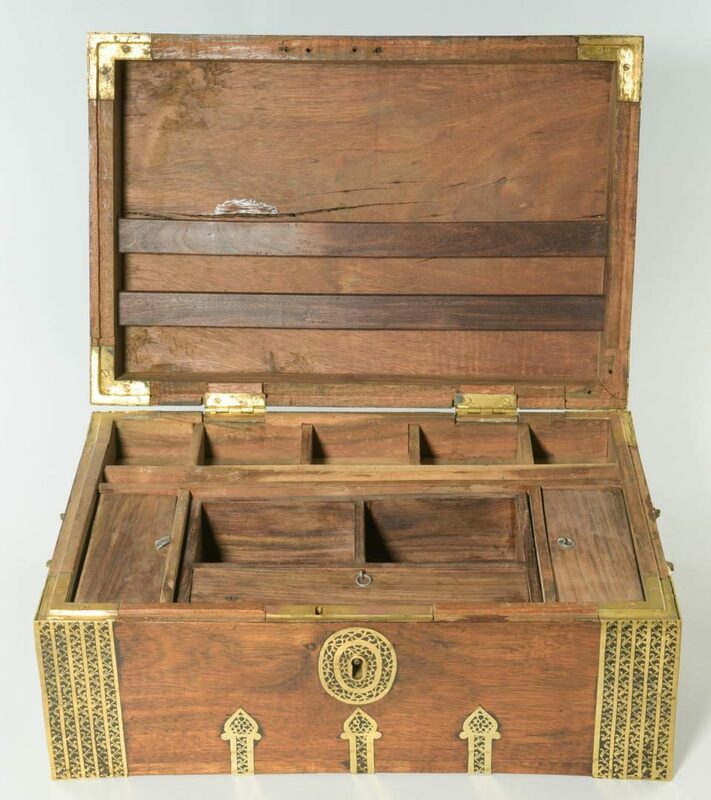 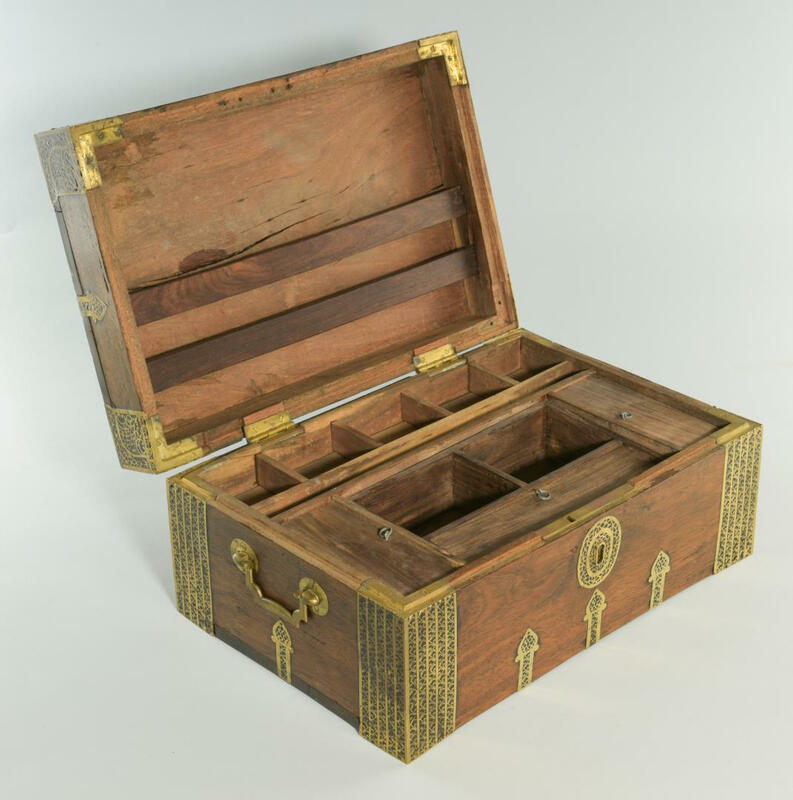 Hinged top opens to an interior that appears to be teak with writing slope and compartments for pens and ink. 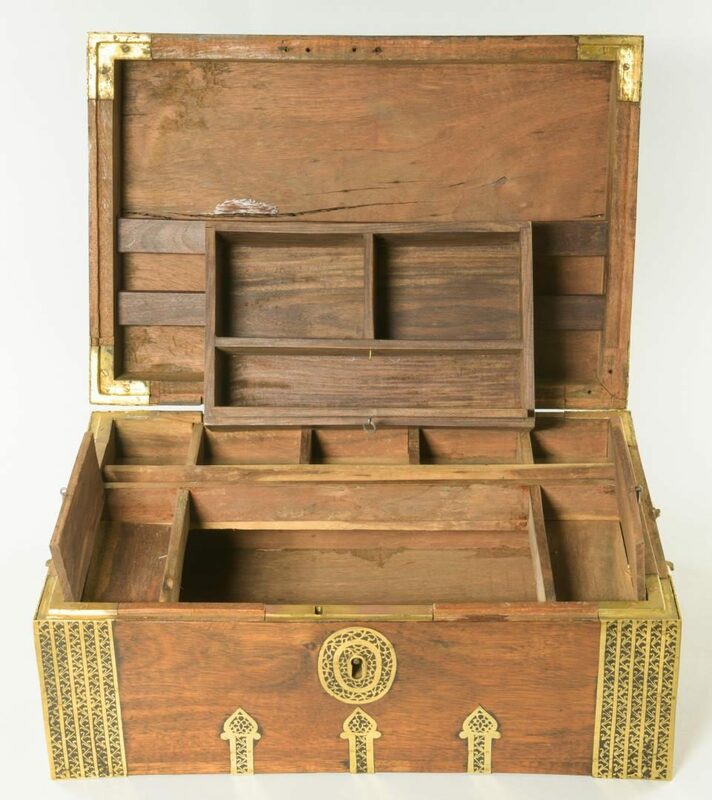 Brass side handles. 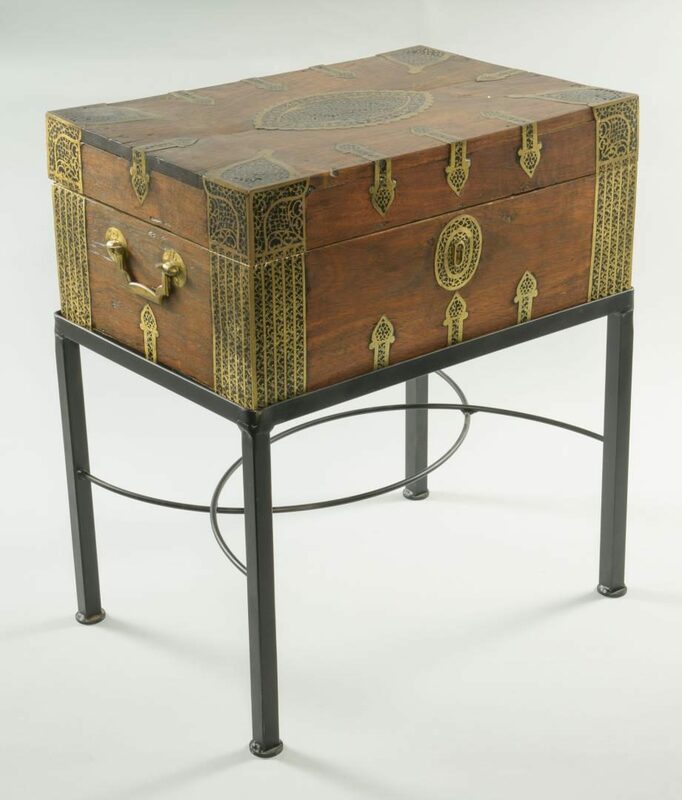 Fits into a custom iron stand to form a small side table. 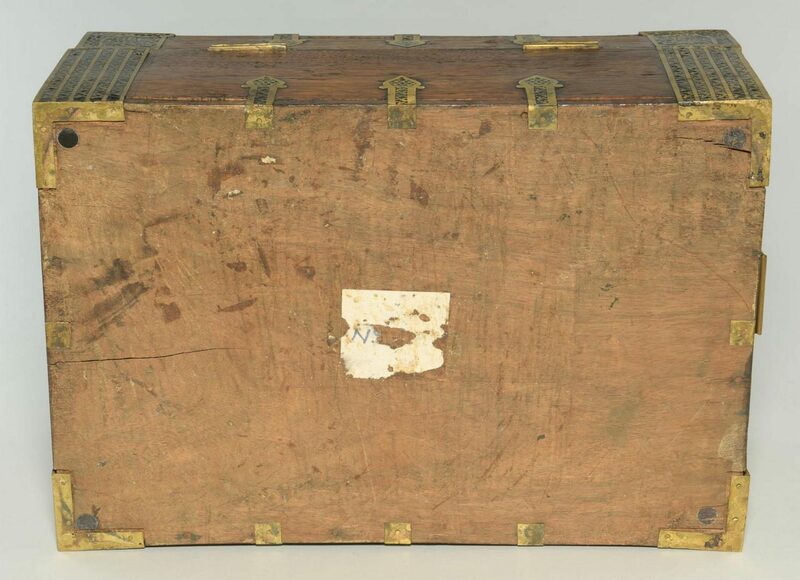 8 1/4" H x 18 1/4" W x 12 1/3" D. CONDITION: Repaired left hinge, some shrinkage cracks and edge wear to exterior surface, overall good condition.